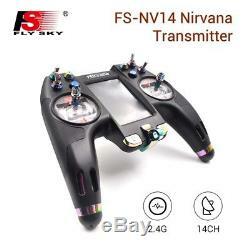 Flysky FS-NV14 2.4G Nirvana Transmitter Remote Control Receiver Radio For Drone. 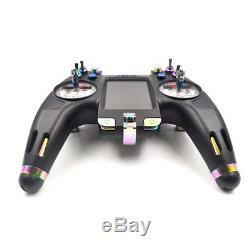 The NV14 is an amazing product developed in conjunction with underground FPV. Moving away from traditional transmitter designs the NV14 has a unique ergonomic design, open source firmware, ports for expandability, a color touch screen display, and most important of all, hall gimbals. 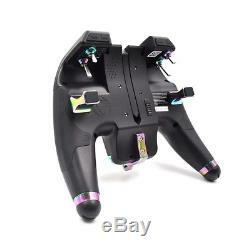 RF Module Bay: RF compatible module bay on rear side and removable. 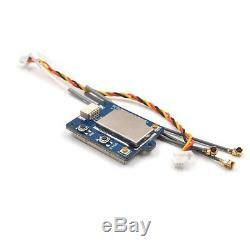 Support JR or other RF module. 3.5 Touch Screen: ST035T Standard LCD Module 320 x 480 dots 3.5in LCD with capacitive touch. Diversity Antenna: External and internal antennas. 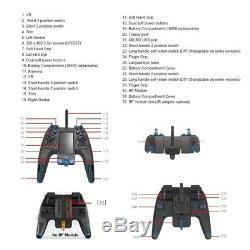 OpenTX Firmware: Flysky FS-NV14 Nirvana system use OpenTX Firmware. Built-in 2A Protocol: Internal AFHDS 2A (AFHDS 3 compatible). 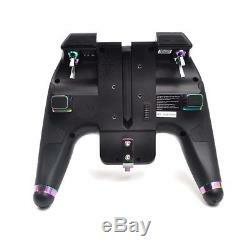 Games Controller Design: Be designed so as to be more in line with a games controller when it comes to shape and ergonomics. Equipped with a 32-bit M4 core high-performance processor, 2Mb 180MHz, supplemented by industrial-grade 166MHz SDRAM. USB HID output for use with simulator software. 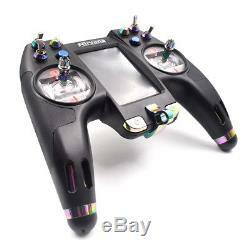 Includes 2 receivers as standard, one small single and one larger dual antenna receiver. Unique switch placement for ease of use without sacrificing performance. Unique battery compartment design to house the dual 18650 batteries. The combination of metal and plastic looks and feels great. 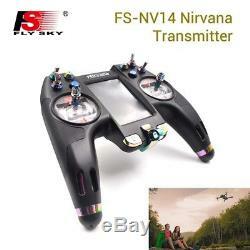 Specifications: Brand: Flysky Model: FS-NV14 Color: Black Frequency: 2.4GHz Channels: 14CH Data Output: Micro USB Port Frequency Range: 2.408-2.475GHz Channel Bandwidth: 500KHz Number of Bands: 135 Transmission Power: <20dBmEU Receiver Sensitivity: -95dBm 2.4GHz System: Removable RF module + Internal AFHDS 2A Modulation Type: GFSK Spread Spectrum Type: FHSS RC Channel Resolution: 4096 Low Voltage Alarm: <3.7V Charging Interface: USB Antenna Type: Internal and RF Module Power Input: 2pcs 18650 batteries. 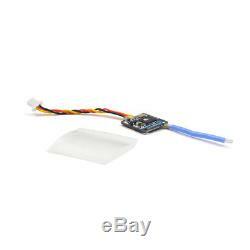 Display: ST035T Standard LCD Module 320480 dots 3.5in LCD with capacitive touch Online Update: Yes Open Without Interference From Ground: >500m Channel Data: Median: 1500±10us; Range: 10002000±10us Dimensions: 205.2183.781.4 mm Certification: CE, FCC ID: N4ZNV1400 Receiver: FS-X8B/FS-iA8X. 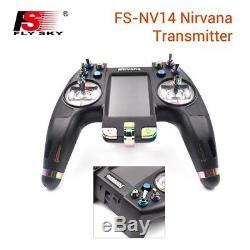 Package Included: 1x FS-NV14 Transmitter 1x FS-X8B Receiver 1x iA8X Receiver 1x Dust Cover 1x Audio Cable 1x RF Module. 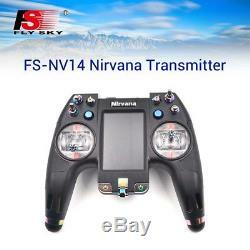 The item "Flysky FS-NV14 2.4G Nirvana Transmitter Remote Control Receiver Radio For Drone" is in sale since Thursday, August 16, 2018. 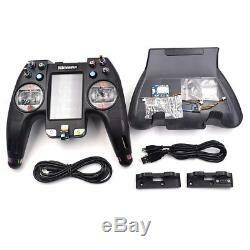 This item is in the category "Toys & Hobbies\Radio Control & Control Line\RC Model Vehicle Parts & Accs\Control, Radio & Electronics\Receivers & Transmitters".